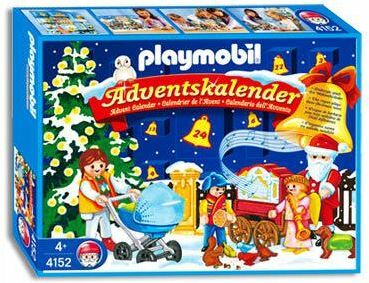 This year Santa gives Kuse the Playmobile Calendar, and Knacks the Lego one. Mare worries that there will be an issue with the Santa transition like last year, but Santa states that he is heading south anyway. Knacks, while happy for Kuse, feels like a third wheel and starts a MySpace page to get new friends. The MySpace page is hacked, so Knacks figures Waiterbot is behind this. Waiterbot has no idea what he's talking about a he's been busy with the Calendar Knacks no longer wanted. Knacks gets annoyed at everyone and goes off to be alone, only to meet up with Tigerboy. He warns Knacks about turning on his friend, and encourages him to go back. Mare's mother is going to show up any day, which makes Kuse nervous. As he opens a relatively heavy gift box for the day, he comments on the weight, and insults Mare's mother who is inside. This starts a battle between the two, making tension rise with Mare. Knacks makes up with Kuse and Mare announces that she is pregnant. Kuse is happy while Mother is not. Waiterbot gets an offer to join an evil supergroup. He does not want to betray his friends, but also doesn't want to miss out on being in a supergroup. The following day Mare goes into labor and is rushed to the Advent Calendar to give birth. After what seems like a false alarm, Kuse opens the day's box and finds a child, coming to the understanding that this is how Mare family members are born. Waiterbot sees them in passing but doesn't have time to talk. Instead the offer to join the evil supergroup is offered again, but when Waiterbot turns it down, he finds his lair trashed and Waiterbetty stolen and separated from her host body. Back at home, Kuse and Mare show off the baby and end up calling him Box, since he uses his eye energy to blast a detergent box. Conveniently the calendar is giving them a ton of baby supplies which helps. At Waiterbot's, Santa is disappointed that everything is a mess despite it being some evil group's work, but dimisses Waiterbot from his Calendar duty all the same giving it instead to Tigerboy. Waiterbot doesn't mind as he's now more interested in finding his wife. Tigerboy doesn't really want the job, as it's confusing, and hopes Knacks will take it off his hands. Mare's mother still doesn't approve of the baby and throws him across the room. This prompts her to leave, but acts as a relief to Kuse and Mare. Waiterbot rushes in to tell them about the kidnapping, and we see that Waiterbetty is not in the possession of the evil group and presented to The Boss. As a precaution, the crew decides to implement a curfew, travel to the Calendar in pairs, and forget about risking danger by rescuing Waiterbetty. This backfires the evil guys' plans, and they decide to kidnap another, more important character. During another Calendar run, Box wanders off while Kuse and Mista Snowman argue, prompting a search party and Mare's anger. She storms home and is kidnapped, becoming the third victim after Mrs. Snowman had previously been taken, but still not found to be a worth hostage. After only a few days, Box ends up returning since he was metamorphizing into a teenager while in box #15. Kuse runs home to let Mare know, but sees that she is gone. The three wives at the evil lair find that the Errand Owl followed them, and send it home to get help. Once the Owl returns home and relays the message, Kuse, Knacks, Waiterbot, and Legotron form a team to go retrieve them. Upon arriving, the evil bit players are easily defeated. An early celebration seems too easily gained, so they wonder what evil is truly in store. The Boss in charge of everything reveals her face, and quickly starts overpowering most of the heros. Santa shows up and poses a real threat, so The Boss reveals that she's being controlled. After a curtain is moved, the frozen block of ice containing Claire is shown, and we find out who has been organizing the entire plan. Santa still kills The Boss since he doesn't believe she didn't enjoy some of it, but figures he can't kill twice. He places Claire in the care of the crew to protect for all time. The group recovers from battle, and Legotron's heads don't end up in the right order. There's only a few days left until Christmas, so they try to relax and decorate the tree and play in the snow, but box #20 shows a new Mare emerging. This new Mare II kills many of the new Lego people, torches the house, and frees Claire from her ice prison. They both vow to take vengeance on the group. After tying up most of the crew, and later a second wave arriving home from Calendar duty, Kuse runs off to Santa for help. Santa figures he can't take on two Mare's alone, so he heads to the Calendar to wait for the next Santa to be born. However he finds the new one is burnt, and they must fight alone but is enraged to the point where he feels that he doesn't need backup. This doesn't work, and the rest of them, save for Mare, are captured. Knacks tries to win over Mare II, but only succeeds after she reads his MySpace blog, and he wishes her a Merry Christmas. Mare II blasts Claire, and Mare arrives soon after to finish her off. Everyone is free and heads home to celebrate finally. Mare II insists that she needs some time to figure things out, after being evil, but promises to come back. 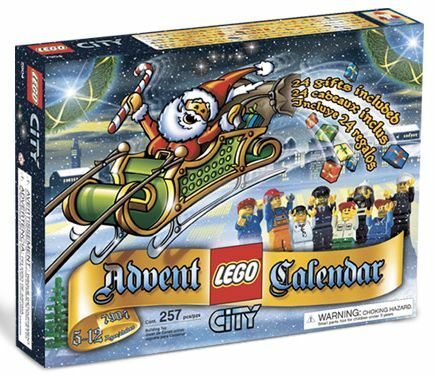 Knacks finishes up his last blog entry, and a new Lego Santa arrives to take over for next year, much to this year's Santa's relief as he can now go to Tahiti. After a fade to black, two rabbits steal the burnt Santa, leading to next year's story arc.